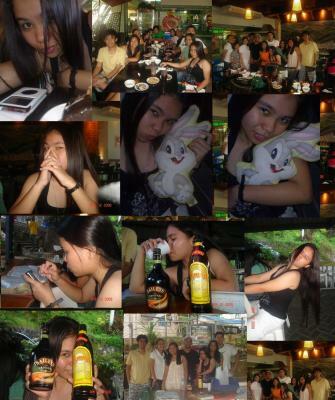 for alm0st 12 years..a capric0rnian 'homo' thought tat she was the 'unica hija' in the fam..
b0rn on the 3rd day of january en started sk0oling at age of 3..graduated h.s batch 2004-2005..
a completely sports en muxic addict..
2nd daughter of 4 siblings..
i am hu i am..
[] → jy [[xum chinese 'eat all u can' resto]] → m0untain view [[lurrve d baileys en kahlua]] → sheila's h0od [[mandaue]] → eat at recto's crib [[mandaue still]] → fetch kaye [[ lapu²]] → chui's creepy h0mie [] → sigs → ate xumwer near sigs watta r0adtrip!!.. Salut c'est SXCK-ST4R ;) 11 COMMENTAIRES CHEZ MOI = 36 COMMENTAIRES CHEZ TOI! Essaye une fois et tu verras. Salut viens check mes sons !! à bientot !